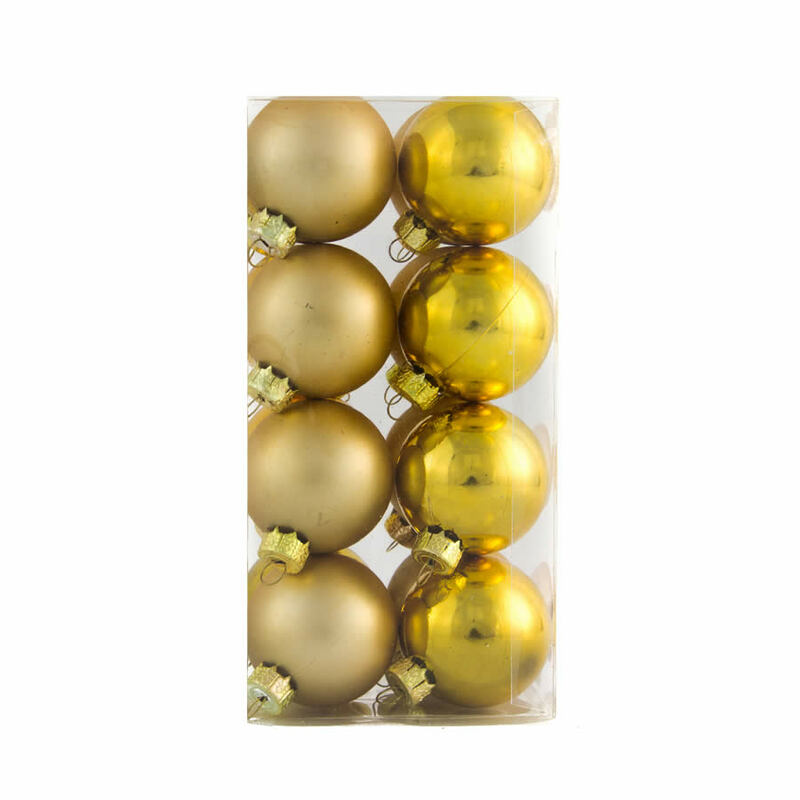 Each package of 40mm Gold Baubles contains 16 ornaments in all- eight are in a high-gloss gold colour and eight are finished with a hazy matte style surface. 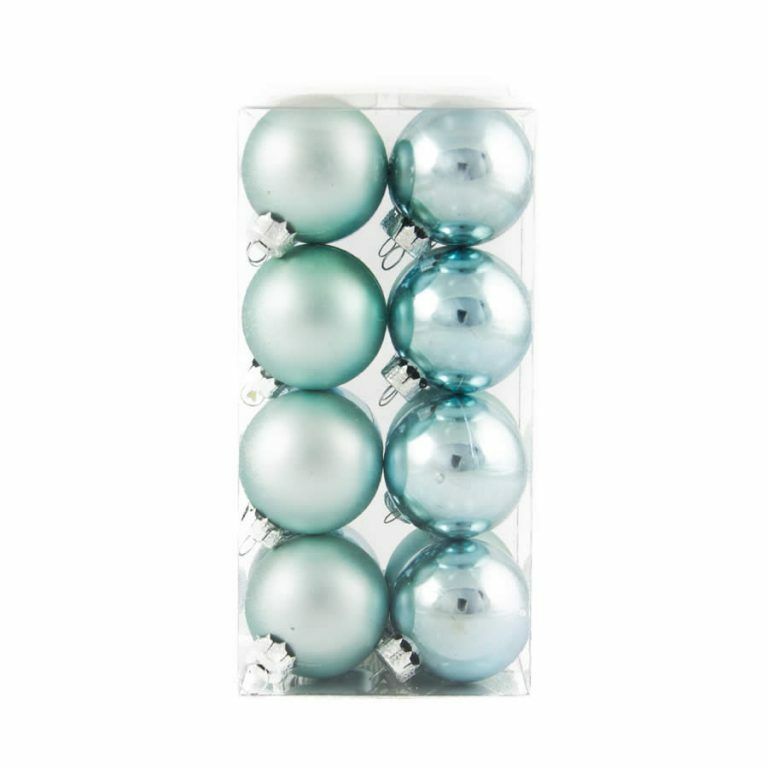 This blend allows you to mix and match these baubles to suit your decor. 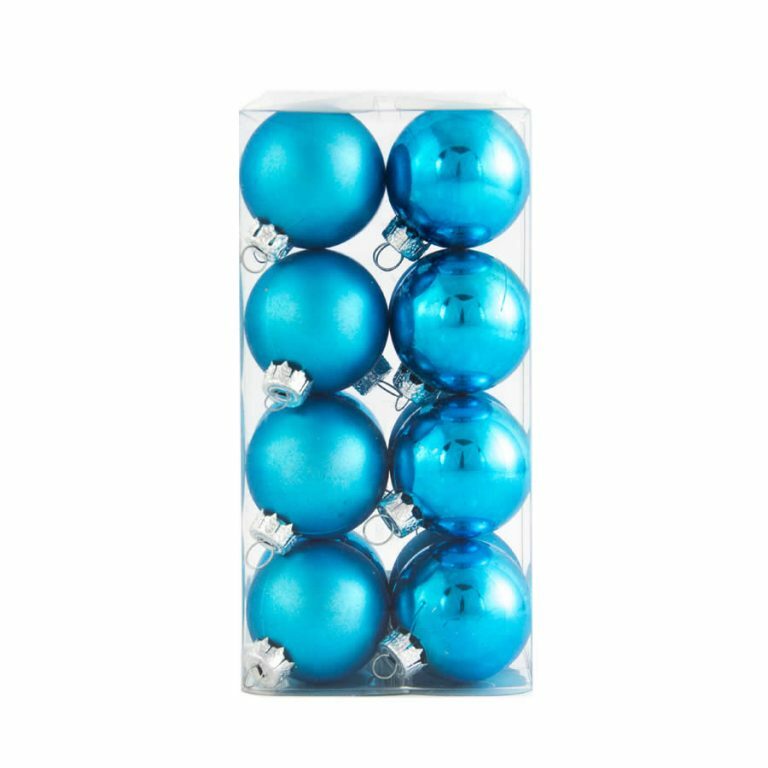 Each shatterproof ornament is affixed with a sturdy plastic hanger that makes it easy to suspend these baubles from the branches of your tree, or to secure to ribbon to hang in window or on a gift. 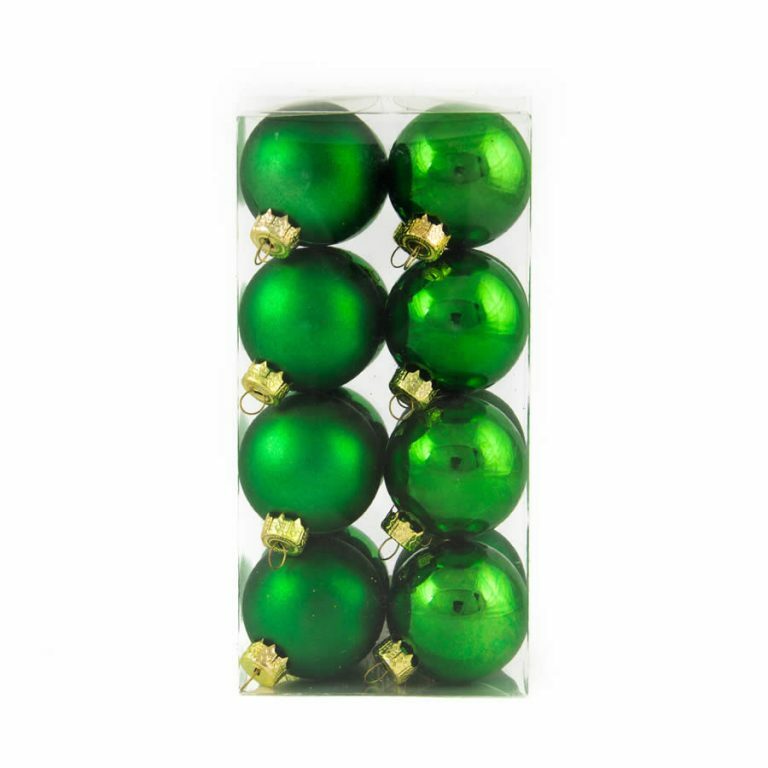 The colour of these clever Christmas Decorations is vintage and beautiful; pair with all of your traditional holiday themes for a rich, royal look that will enhance the overall appearance of your decor. Give these to others to share something special that they will use in their own homes this Christmas. 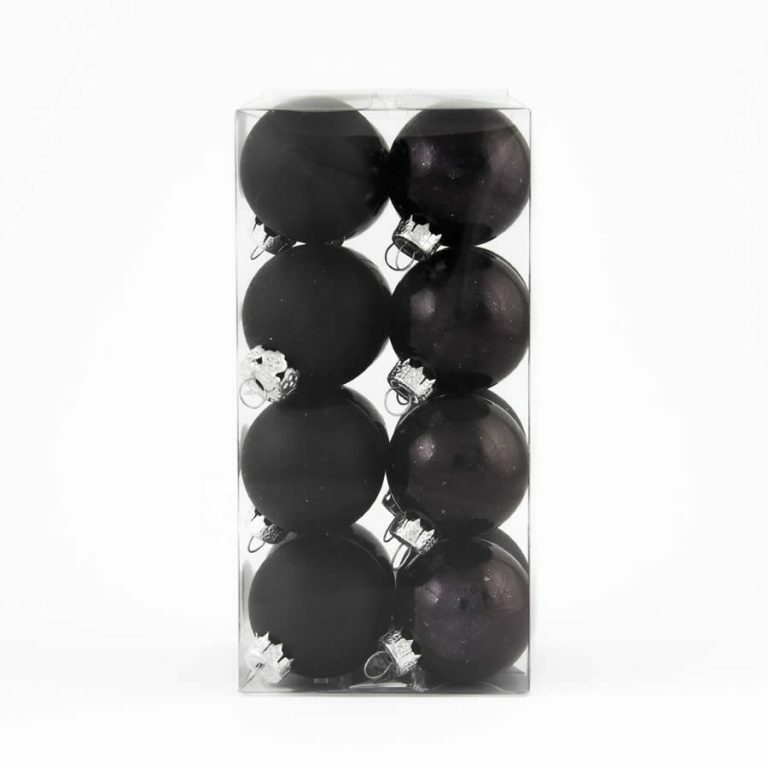 These baubles will last for years to come and will become a treasured part of your own holiday traditions.